Bright Sky Umbrella Ltd was founded in 2015 by Adam Connell, Managing Director. 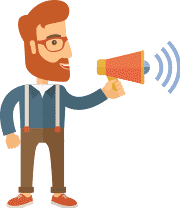 After spending 5 years within the umbrella industry, Adam realised certain service and operational feedback from recruitment agencies and contractors was not being taken on board. Changes which would help strengthen these relationships were not actioned. Therefore he set up Bright Sky Umbrella to give him the freedom to implement these changes, ensuring that all aspects were as simple and stress free as possible for all involved. 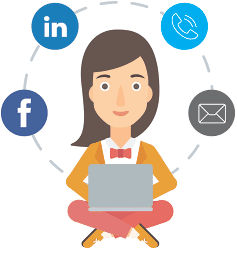 The initial services offered were umbrella and CIS. With the ever changing legislation within the industry in 2016, the business expanded and added an accountancy arm to the business. 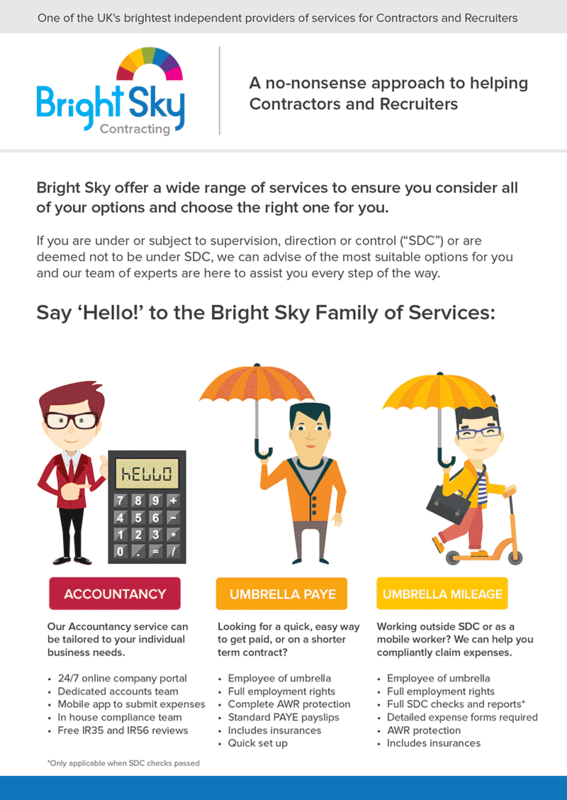 This addition resulted in Bright Sky Umbrella rebranding to Bright Sky Contracting (“Bright Sky”), offering a range of services for not only the ever changing contractor market, but also offering accountants, tax, legal and HR. Along with the growing team within Bright Sky’s Head Office in Liverpool, the addition of a non-executive Legal Associate gives Bright Sky the benefit of a specialist, with Legal, Compliance and HR allowing them to stay at the forefront of legislation changes. This gives our clients piece of mind that our processes and service is robust and within the legislated guidelines. Our ethos is simple: We provide great value to our contractors, ensuring that they are paid correctly on time, every time.